With the enemies’ formation looking impenetrable and the odds continuously climbing higher in their favor, the battle would take on the shapes and colors of loss, with the sufferers wearing crestfallen faces. Their armor would feel heavier than it used to be, and their weapons wearier than it had ever felt. On the other side, the enemies would laugh, grinning from ear to ear, feeling the taste of probable victory in the sweat that’d dribble down their faces. But then, the roars that would rend the skies would shake them. The earth would tremble as a cloud of dust trailed surging footfalls and vehement roars. They would see men, fiercely charging towards them without the fear of death. These men would be a handful, not nearly half their number, yet the rage that would propel them would make them appear too many to withstand, with their weapons yearning to strike with every ounce of strength in them. The enemy would then feel something different from victory; they would feel fear, and a sudden urge to run. Charges have throughout history borne decisive moments on battlefields. 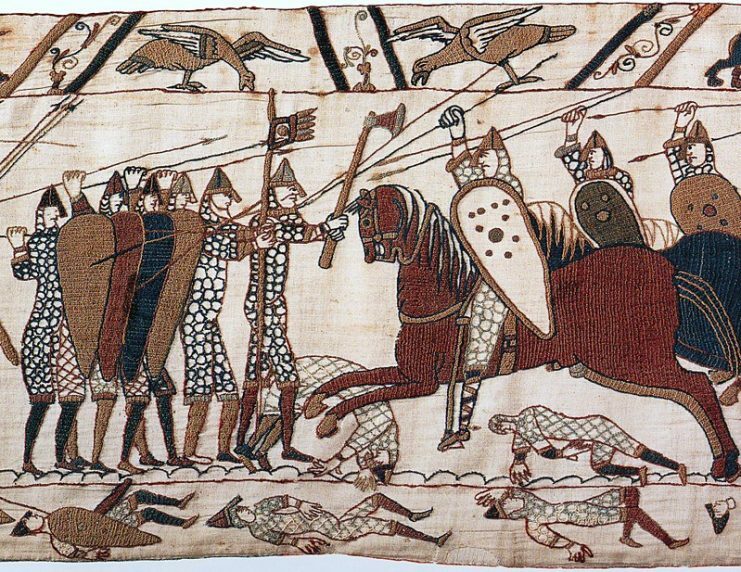 We’ll take a look at the very popular charges, focusing on the greatest Cavalry and Bayonet charges in history. During the battle of Gettysburg, Colonel Joshua L. Chamberlain led his troops in one of the most famous counterattacks in American history. During the battle on Little Round Top against Confederate forces from Hoods’ Division of Longstreet’s Corp, the 20th Maine division under Col. Chamberlain was running out of ammunition while exchanging hostilities. Little Round Top would serve as a crucial hill during the 3 day Battle of Gettysburg. Attack on Little Round Top held by the 5th Corps commanded by General Sykes, painting by Edwin Forbes. Down the hill, there were two Confederate regiments trying to outmaneuver them, and with a shortage of ammunition, Chamberlain’s troops were close to losing the hill. Then in a wave of bravery, he led 386 men of the 20th Maine on a charge downhill. They surged into the Confederate formations with their bayonets, dealing stabs and cuts. Chamberlain had very close calls with death several times during the charge, but ultimately, the outnumbered troops of the 20th Maine drove off the Confederate regiments. This is indeed one of the craziest bayonet charges known in history. The U.S forces engaged the British in the Revolutionary War around Stony Point, New York. The area had been seized by the British while leaving Wayne’s troops outnumbered and outgunned. In light of this, ‘Mad’ Wayne orchestrated a charge. He ordered his men to not fire a shot at the British. In fact, whoever fired would face execution. Although daring and extremely risky, his men obeyed his order. 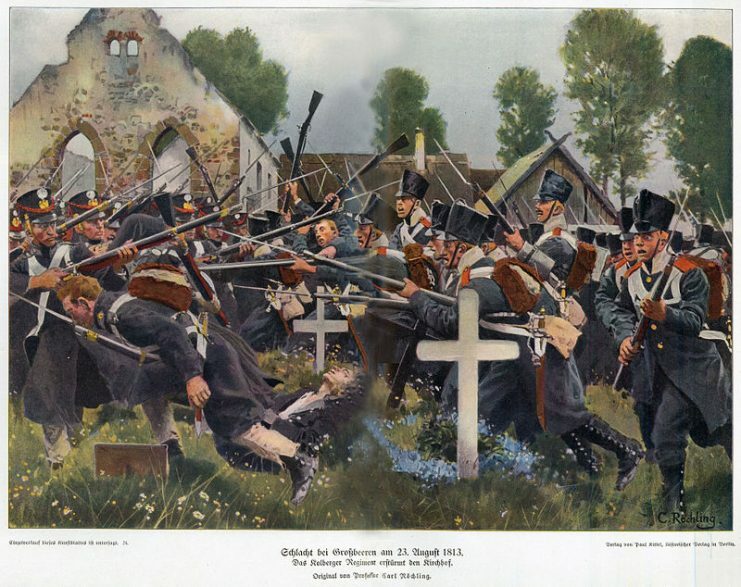 The Americans sneaked up to the British at night with their Bayonets. Then, like a whirlwind, they charged through the British lines. When the heat died down, 15 Americans were found dead and 85 were wounded. But the British suffered more; with 70 injuries, and 442 captured men. 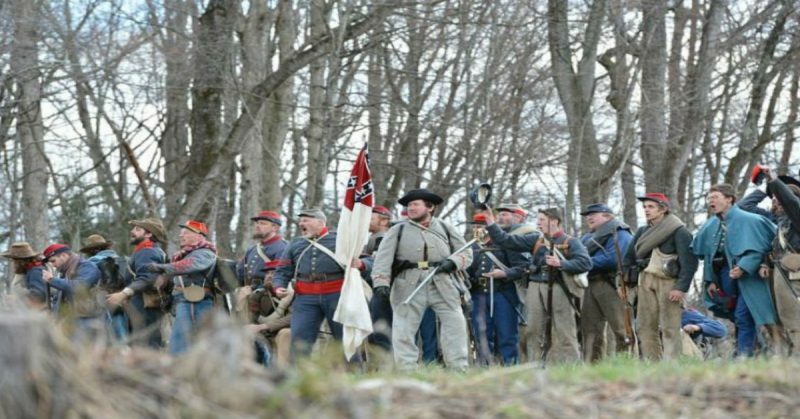 63 men died, and they lost Stony Point to ‘Mad’ Wayne’s daring bayonet charge. During the Korean War, Capt. Lewis Millet led two bayonet charges in less than 48 hours in what would be known by many as a turning point in the Korean War. 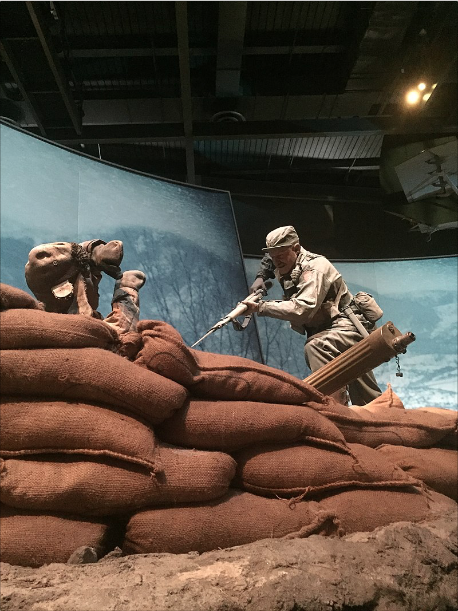 His Easy Company—part of the 27th Infantry—was on their way through a frozen rice patty near Osan on February 5th, 1951 when Chinese enemy forces attacked them from both sides of a ridge. His platoon was completely pinned down while taking cover from the assault. But in a moment of bravery, Millet ordered his men to fix their bayonets. On his command, they charged up the hill against the roaring guns of the enemy, yelling and seething with fury, they ended up taking over the hill and setting the Chinese on their heels. 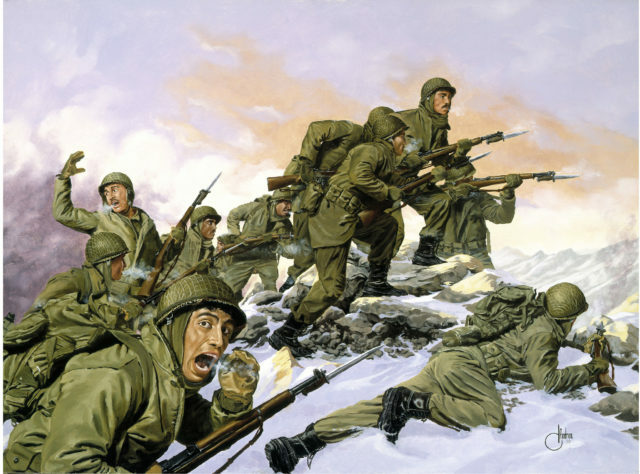 On February 7th, 1951, they were assaulted again at Hill 180. During this assault, Capt. Lewis led his men up the hill again. He was said to have run so far ahead of his platoon that he had to dodge grenades from both the Chinese and his own platoon. Easy Company ended up capturing the hill, suffering 9 deaths. The Rebel Yell is recognized from the U.S Civil War Battle of First Manassas (July 21, 1861), but was noted throughout the war. 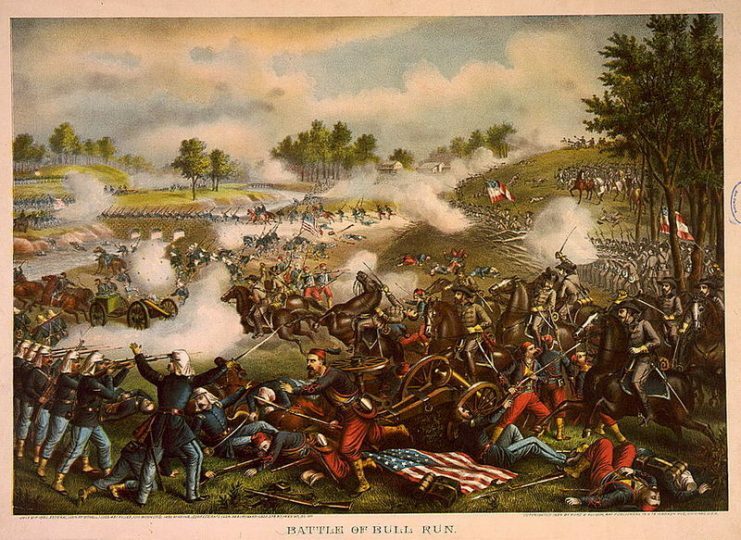 During a portion of the battle between Confederate and Union forces, the Confederates were losing Henry Hill to the Union forces. Following Gen. Barnard Bee’s command, Stonewall Jackson had issued the order to his men to fix bayonets and “charge and yell like furies”. They did as he commanded, charging into the union’s right flank. The Rebel Yell was effective in boosting the Confederate’s morale while demoralizing the Union foes and causing them to retreat off the hill. 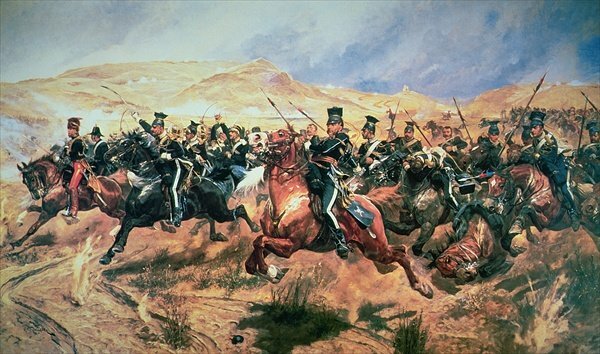 In the Battle of Balaklava, two of the most famous cavalry charges in British history occurred. One of them was the charge of the Heavy Brigade. 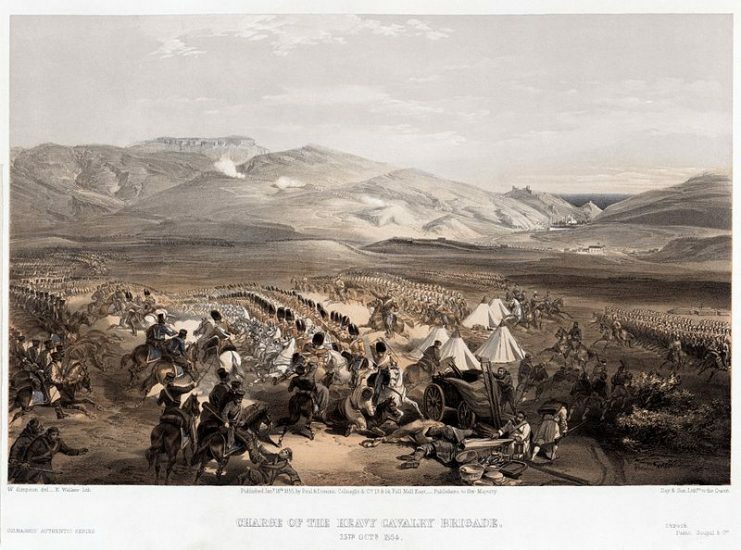 The Heavy Brigade was crossing the Balaklava plain to support the 93rd Highlanders when they saw a crowd of the enemy’s cavalry rapidly advancing rapidly towards them. About 40 yards from the 300-man Heavy Brigade, the Russians halted. What would ensue would be one of the most glorious victories the British cavalry had ever witnessed. Faced with a legion of enemy forces whose numbers greatly exceeded their own, General Sir James York Scarlett surged into the Russian formations with his men. There was a clatter of swords against swords, kicking of horses, and roars of passion. The 6th (Inniskilling) Dragoons and 5th Dragoon Guards engage the Russians in the Charge of the Heavy Brigade. In the end, the Russians found themselves retreating, completely outmatched by a handful of soldiers within 10 minutes. Alongside the charge of the Heavy Brigade, this was another charge that occurred during the 1854 Battle of Balaklava. During a moment of confusion, Lord Lucan of the Heavy Brigade had received some imprecise orders from Lord Raglan to charge in order to ‘prevent the enemy from taking their guns away’. From his position, all Lucan could see were Russian riflemen and Russian batteries on all sides. He rode over to Lord Cadigan, to whom he issued Lord Raglan’s crazy order. So it went that a tiny force of about 670 men, on executing their commander’s order, surged bravely into Russian guns, running into the enemy fire. The Russians kept firing, but as the Cavalry charged onwards with no signs of retreating, some of them turned to run. The rest, knowing what it meant to run from cavalry, drew their swords and prepared for combat. The Light Brigade was severely outnumbered, but they fought with astounding bravery. At the end of the 20 minute skirmish, the Light Brigade suffered 270 casualties. Although the charge of the Light Brigade was a total blunder, the bravery of these soldiers would remain etched in history. 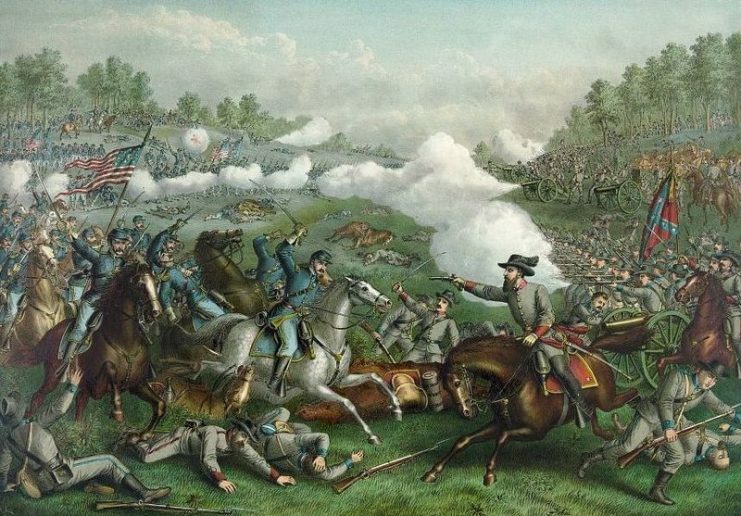 The third Battle of Winchester is known for the occurrence of the U.S Civil War’s largest cavalry charge. On 19th September 1864, the Confederates had raided the B&O railway in Martinsburg, where they exchanged hostilities with Union forces led by Gen. Philip Sheridan. The battle went on for hours with both sides suffering severe casualties. The Confederates were too stubborn but were slowly losing ground. In order to run them off once and for all, Sheridan ordered a charge to attack the Confederates on both flanks. With their immense number, they crushed the confederates and sealed their grip on Winchester. After the arrival of Major Kitchener, on 2nd September 1898, Omdurman was set to host the last major cavalry charge in British history. 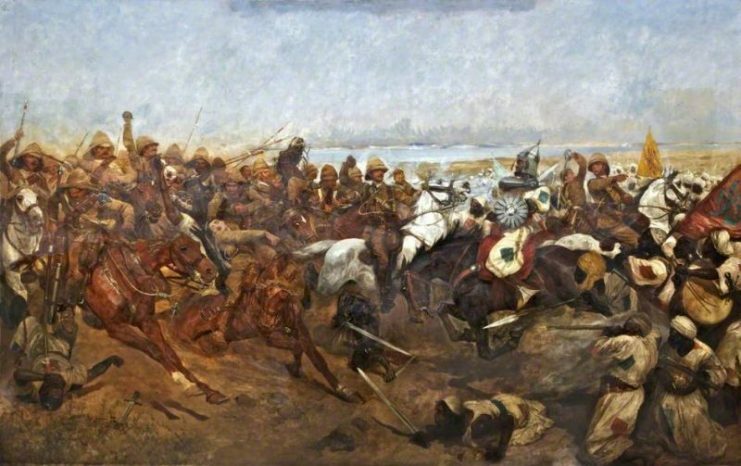 The British-Egyptian force of the 21st Lancers numbered only 400 men, and they were sent ahead of the main force to clear the plain to Omdurman, in a bid to conquer the city before the Mahdist forces retreated there. They were initially faced by about 700 Mahdists, whom they moved to attack, but they were shocked when another crowd of Mahdists surged from nowhere, peaking the enemy’s numbers above 3000 men. In an act of extreme bravery, the 21st Lancers charged. After a bloody clash, the lancers, who had not experienced a fight before then, successfully drove the Mahdists back. Winston Churchhill, then a lieutenant, was a participant of this charge. Although the action of the 21st Lancers was seen by some as reckless, there’s no disputing the fact that in the event of their action, the power of a cavalry charge was still useful.